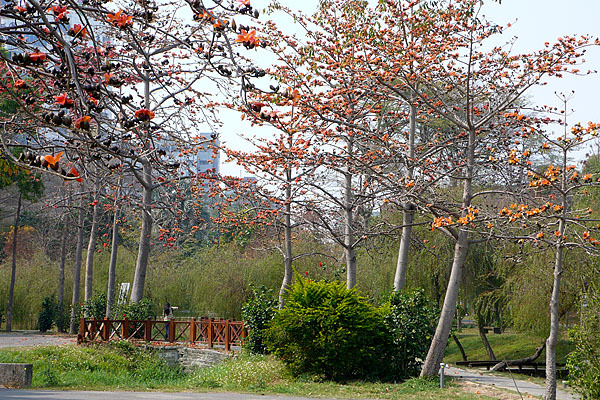 The design of Barclay Memorial Park reflects some of Tainan's wetland ecology. Tainan’s wetlands don’t begin and end in Sihcao. 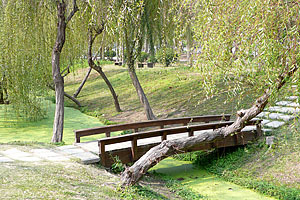 You can find wetland ecology in many pockets around the city such as the creek that runs along the Tainan Athletic Park and Zhuxi Temple. 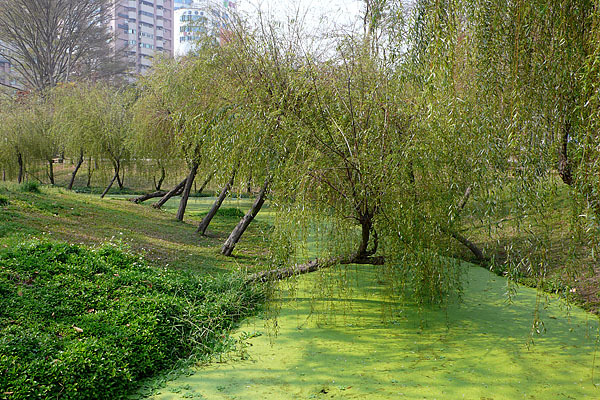 In Barclay Memorial Park, however, the wetland ecology is finely integrated into garden aesthetics to create a beautiful atmosphere that is both natural and contrived. The best urban parks balance leisure space with nature, and for that Barclay Memorial Park is one of the best parks in the city. Stone pathways and wooden bridges help you navigate the park. Barclay Memorial Park is named after the Presbyterian missionary, Rev. Thomas Barclay, whose accomplishments I’ve already discussed in a post on the Presbyterian legacy in Tainan. Barclay’s commitment to the city and to Taiwan were honored in 2003 when the newly redesigned Number 18 Park was reopened as Barclay Memorial Park. The design of this park has won several awards including the FIABCI Prix d’Excellence. Two water features – a large pond and a winding creek – anchor the design for this 3 hectare park. The winding stone pathways and wooden footbridges that take you through the park and over the water beds are woven in amongst a variety of trees that look like they’ve been planted by a painter’s brush. The design creates a peaceful atmosphere that calls on people to enjoy the park as a reflective activity rather than sporting leisure. Many bird and insect species are attracted to the wetland qualities of the park, making it an outdoor ecology classroom for the elementary school next door. Some claim that there are fireflies floating amongst the trees at night, making it not a bad place for a romantic walk. Barclay Memorial Park is in the eastern part of the city on Zhonghua East Road across from the Tainan Municipal Culture Center. Barclay Memorial Park is a good settling for leisurely strolls. When in Taiwan, I stay next to this park. Nice for my young son. What I like is that even though it is surrounded by tall buildings, to the south-west, there is a large area surviving urbanism as it is dedicated to the preservation of the sugar cane industry. So Barclay Memorial park is really where the city ends and the countryside begins. And yes, I have seen up to 3 fireflies in this park although squirrels and ducks are more appreciated by my son. Thanks for confirming the fireflies. It would definitely be a nice park to live next to.